Julie has worked along side Dr. McCabe for over 30 years. She has a special way about her that immediately puts patients at ease. Her warmth and caring nature is felt throughout the office. Julie and her husband have been married for 34 years. She adores her three children and her five grandchildren. She volunteers every year at the OLPH fair and is a self proclaimed chocoholic. Michele has been in the dental field for over 30 years and with Dr. McCabe for the last 19 years. 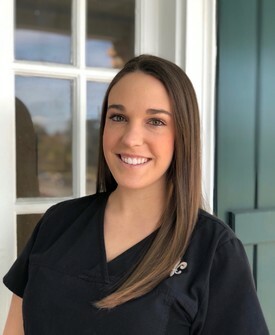 Her love for dentistry began when she enrolled in the dental assisting program at Lincoln Career Center her senior year of high school. While she is an expanded duty dental assistant her home is on the business side of the practice. She and her husband of 25 years raised a beautiful daughter. 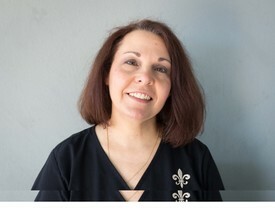 Michele is an active volunteer in the New Orleans area festival community. She enjoys traveling and spending time with family and friends. Elisia is the newest member of our team and has been with us since early 2017. She is a graduate of the University of Louisiana at Lafayette. Elisia married her high school sweetheart in January of 2018. She enjoys traveling and spending time with friends and family. Theresa has 35 years of dental experience and has been a hygienist for 22 years. 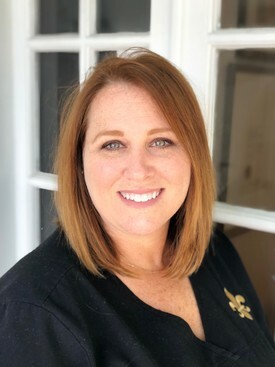 She is a graduate of LSU dental hygiene 1997, and is also Northeast Regional board certified, Temple University PA 1997. 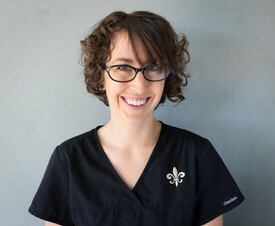 Currently she is licensed to practice in Louisiana and New Jersey and has been working for Dr. McCabe for 20 years. Theresa is married and has two children. She enjoys spending time with her family, gardening and being outdoors. Kellen graduated from LSU School of Dentistry in 2008 where she received her Bachelor of Science degree and license in Dental Hygiene. She joined Dr. McCabe’s team in 2014. Kellen also works as a certified yoga instructor as well as a dancer/choreographer with local theaters. She enjoys spending time with her daughter watching movies, eating in the city and doing just about anything outdoors. 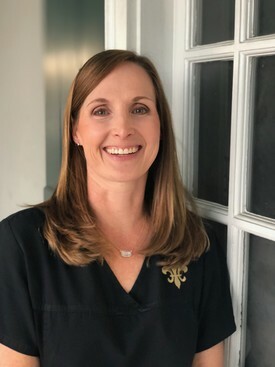 Ashley began her dental career in 1998 by attending Cullier Career Center during her junior year of high school. 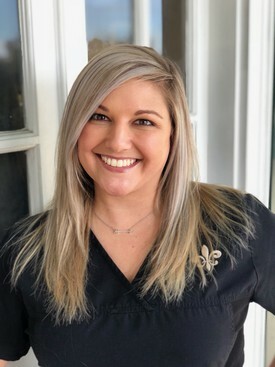 She worked as an expanded duty dental assistant while attending college and graduated from LSU School of Dentistry in 2008. In her spare time she loves spending time with her friends and family and travels to the beach as much as possible.